Now I know the Bahá’ís have sometimes been their own worst enemy when it comes to public relations. They believe that they have received a new revelation from God, which they believe is destined to prevail over the earth. They speak of world government, a kingdom of God on earth, and as if that weren’t enough, they’ve gone and put their world headquarters in a place that has come to be known by the name “Israel.” I can see how some people might feel threatened by the ambitions of the Bahá’ís, but let us get a better look at them. The Bahá’ís of Iran are not so different from their fellow countrymen. In many respects, they still cling to their Shi’ah heritage. They revere Muhammad, the Imams, and the angels. They too have guardians whom they consider divinely-guided and free from error. They are not as harsh as you in punishment, but they, like you, do not drink wine; like you they believe that men and women should have different roles in society; like you they do not approve of homosexuality; and they, like you, are very proud of their Iranian and Islamic heritage. But they are also proud of their particular sect, perhaps a little too proud. Having heard Bahá’ís speak of their great destiny of spiritual conquest, you might feel justified in considering them an existential threat to your theocratic reign, but hear me out, because I think that you would be mistaken to fear them: the Bahá’ís, in spite of their lofty ambitions and triumphalistic rhetoric, are utterly impotent and harmless. The Bahá’ís are harmless, but not merely because of they aspire to be non-violent and non-political. The Bahá’í religion is harmless because it has grown bureaucratic and stagnant with age, while its adherents have grown complacent and apathetic. Their temples may look glorious, but that is merely the mark of an influx of money. Morally and socially, the Bahá’í religion is not so vivacious as it once was. There is little spirit left in its adherents, and even less imagination. They are nearly invisible. The only recent victory they seem to have achieved is in seeking martyrdom at your hands. In your need to punish the Bahá’ís for their heresies, their vain ambitions, and the sins of a few among them, I fear that you are unwittingly playing into their impotent hands, and alas, you achieve nothing of sustained value in making martyrs of them. It may sometimes be useful to mark a scapegoat, but one must use caution in doing so. It can be a risky task to scapegoat a people whom citizens meet on a daily basis, a scapegoat whom the people can readily see are too powerless to be an effective enemy. Attempting to scapegoat the wrong people, a purely Iranian people of Shi’ah heritage such as the Bahá’ís, can erode public confidence in your leadership. It may be reasonably contended that some Iranian Bahá’ís have acted greedily. I have seen the ostentatious homes, clothes and cars of some Iranian Bahá’ís that fill many American Bahá’ís with envy and covetousness; I have seen the glorious Bahá’í construction projects in Israel that have undoubtedly been funded largely by wealthy Iranian Bahá’ís, and I wonder how so many Iranians can be so poor while so few are so rich. I can understand your suspicions. But if these men obtained their wealth by criminal means, they could be investigated and prosecuted. Instead, they have been driven overseas, and they have taken their fortunes with them, leaving many less fortunate Bahá’ís behind. Though you may regret having chased so much money away, the Bahá’ís that remain in Iran are certainly no threat to you. Globally, the Bahá’í religion is no more threatening than those unfortunate native Bahá’ís stranded in your shadow. Their religion has long lost any mark of distinction by which it might be empowered. The only distinction that the Bahá’ís lately advertise is the blood on your hands, which they claim to be their own though it is also the blood of intellectuals, artists, dissidents, and homosexuals. Listen to the Bahá’ís: they have little on their lips other than the courage of their martyrs. They hope that their imprisoned and executed heroes will bring their religion notoriety. If you wish to silence them, then ignore them; treat them as the ordinary Iranians that they are, and deny them the glory of martyrdom. This entry was posted in Politics and tagged growth, Islám. This regime in its mind-boggling idiocy has given Bahaism the soap-box and bully-pulpit to promote itself. Of course it goes without saying that the Iranian opposition to the regime has been using Bahaism for its own purposes as well. But, yes, if the Iranian regime had ignored the Bahais and left them alone in Iran, the Haifan Bahais would have no cause celebre whatsoever. 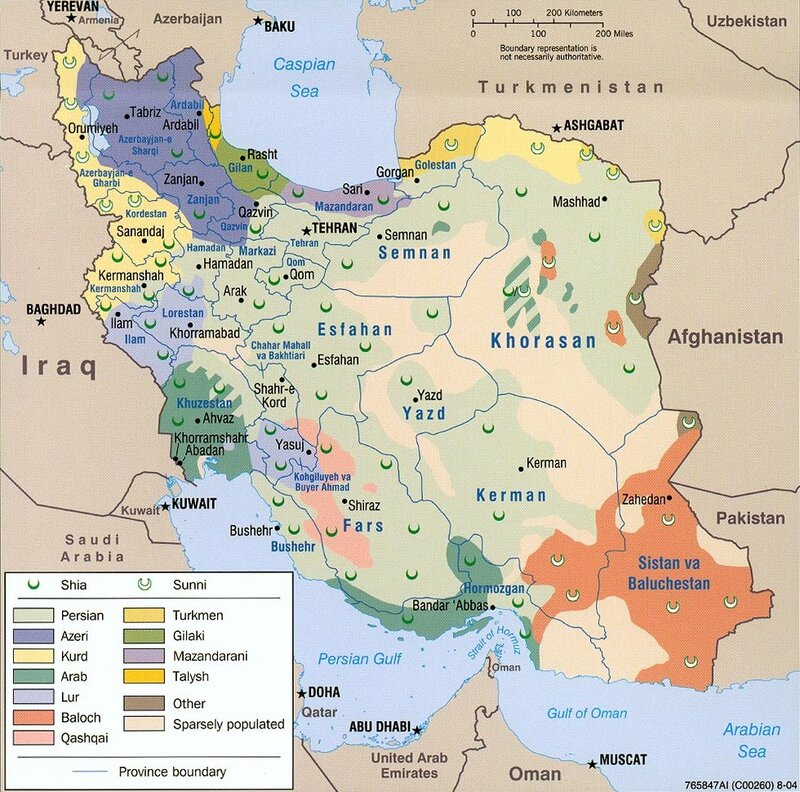 However, the question arises: why was the ad hoc Iranian Bahai administration playing a dangerous game of brinkmanship with the regime until 2009 (esp. with RUHI classes and sending Western missionaries in 2005)? Did ye think there would come unto you no messenger for a thousand years?